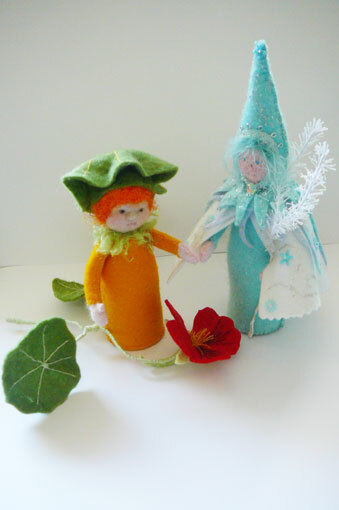 This week I have been trying to to recreate a summer Child, the little figure carrying a nasturtium . It was a request that I welcomed most joyfully, thinking that she might warm up winter a little and pass on some summer glow to warm and enthuse. This is who popped by first- and summer she is most definitely not. Obviously I had well immersed into the embrace of winter and in the seasonal rhythm. Who is she? 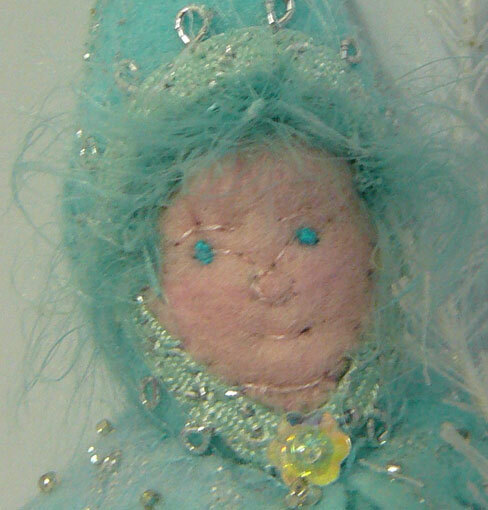 It seems a Crone. 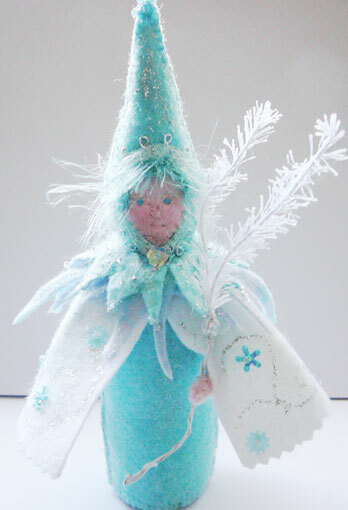 Perhaps she is the winter mother or grandmother. She sparkles and reveals that in spite of the chaos , destruction, and the chill that winter brings there is also great beauty. In spite of the dark she is light. The Cailleach of Winter is often portrayed as a dull, gnarled, ugly hag, a Bone Mother: or in her aspect of Frau Holle as a stout matron but to me this is how the Winter Crone has appeared. I need to reflect, perhaps this is her lesson. However after some contemplation Summer did stop by. Be still my heart. May I be a crone. It certainly warmed my heart. As mine when i realised that she holds the light, Thankyou.